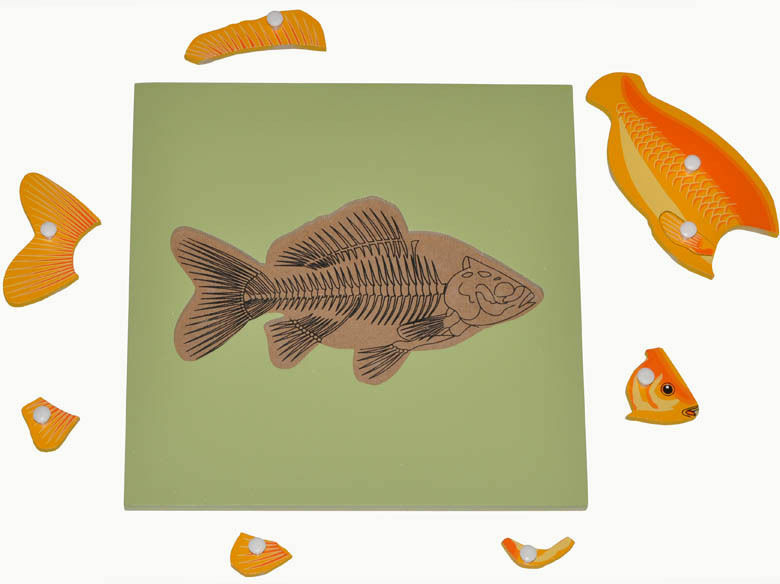 The image of the skeleton on the inside of the puzzle board will help kids learn about anatomy of the fish. 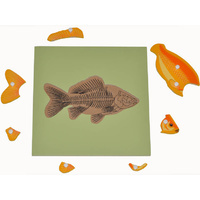 The puzzle consists of a wooden base board with a fish skeleton printed inside plus 8 puzzle pieces. 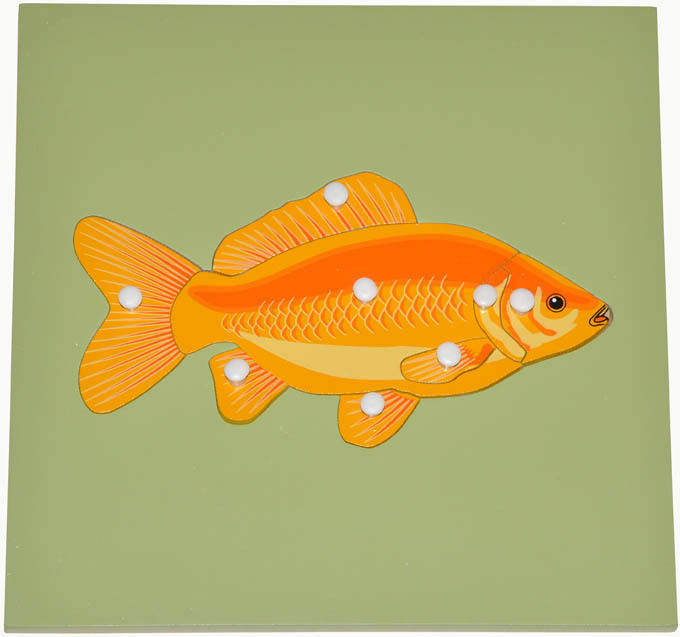 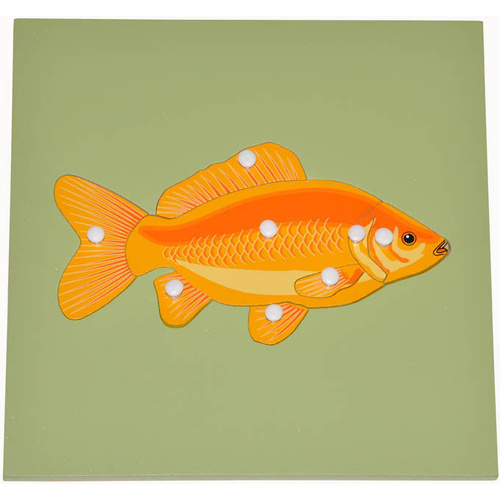 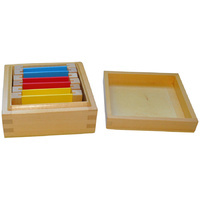 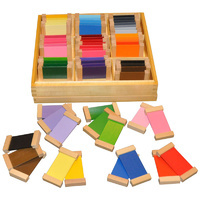 The wooden puzzle pieces make up a gorgeous, brightly coloured gold fish.